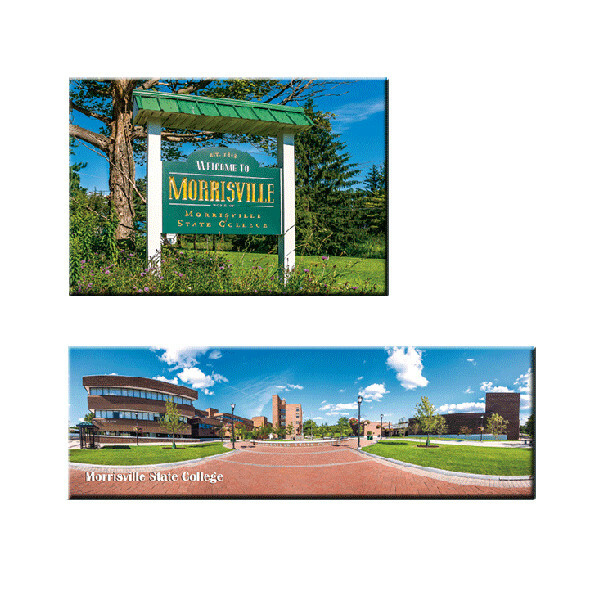 Round metal SUNY Morrisville Alumni key ring. SUNY Morrisville Alumni Magnet. 5" wide by 1 7/8" high. MSC Photo Magnets. Choice of Welcome Sign or College Entrance. Woven Polyester Imprinted Necktie. 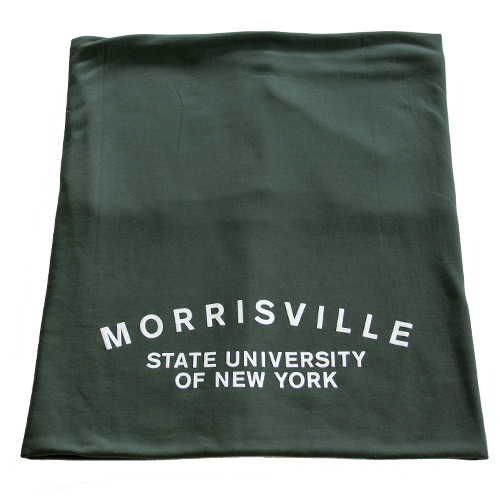 'Morrisville State College' repeating design. 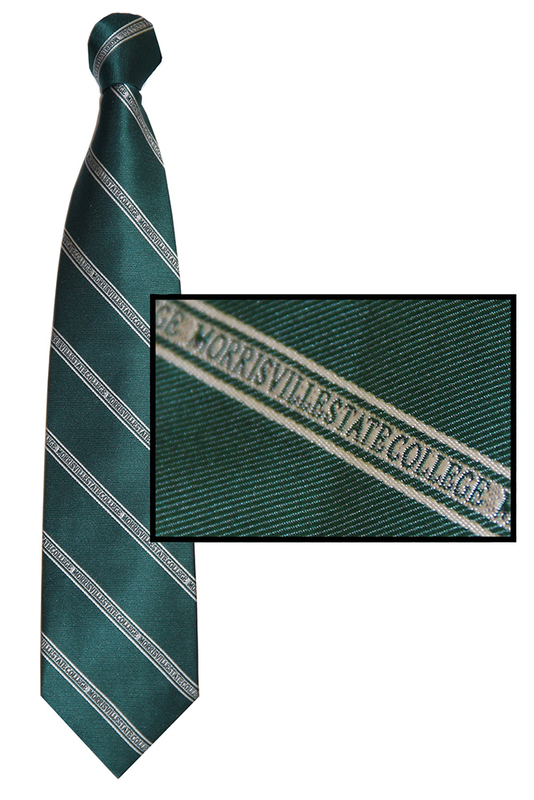 Green Necktie with Silver Imprint allows you to show off your Morrisville Pride in Style.